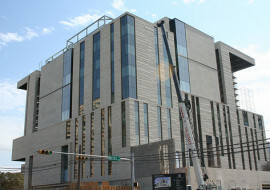 The Grand County Judicial Center streamlined the county’s use of its courts and offices. 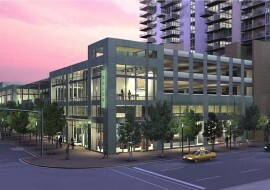 It serves the community with an entirely updated complex, while retaining the historic character of the adjacent courthouse. 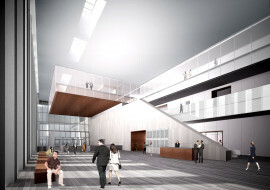 SM&W acousticians developed the layout of the sound-critical spaces within the facility. 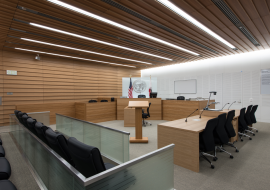 In order to improve speech clarity and communication conditions, they integrated materials into the courtrooms and provided methods to control the mechanical system noise. 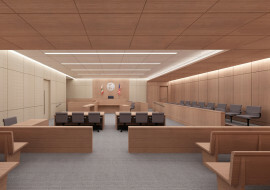 They concentrated on sound separation construction between the holding areas and the courtrooms in order to avoid possible disruption and distraction from the courtroom proceedings. 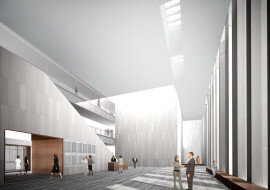 The security design needed to provide a secure environment for employees and guests while maintaining an inviting and friendly atmosphere. 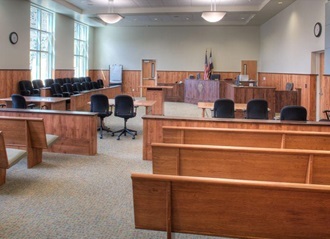 SM&W security personnel coordinated with the design team to meet the stringent adjacency and security requirements of the state courts. 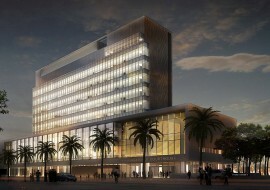 The design needed to meet today’s high-technology municipal and judicial standards and accommodate potential future expansion and integration with an existing adjacent jailhouse. 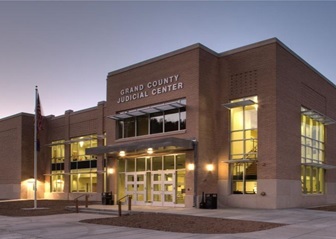 The technologies specified provided Grand County with security systems that are user friendly, flexible and sustainable into the future, and the facility can meet the capacity of the county’s court case load until 2040.